Enjoy the top 6 famous quotes, sayings and quotations by Yang Lan. I'm very curious to witness the historic transformation of Chinese women. In 1994, after four years of talking about travel on my first show, I realized I knew so little about the world - I knew so little about myself. I decided to quit my job and pursue a postgraduate degree in New York. 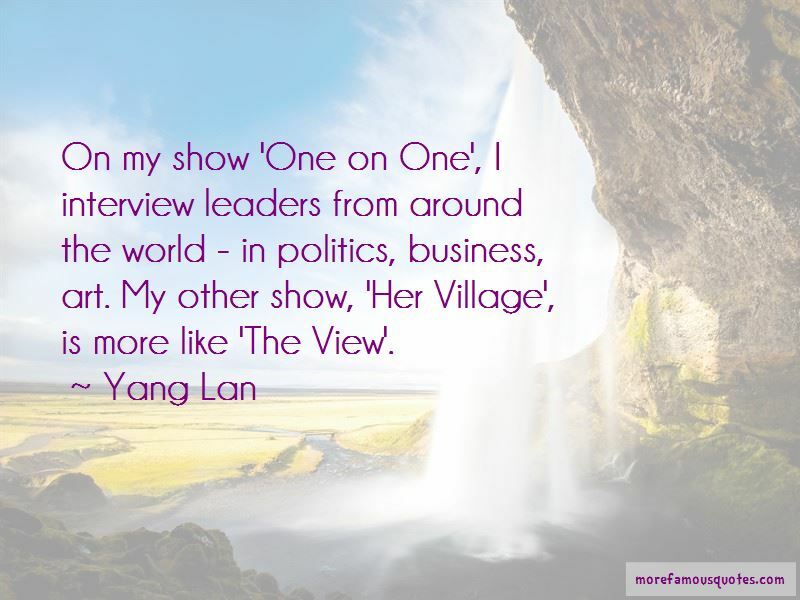 Want to see more pictures of Yang Lan quotes? 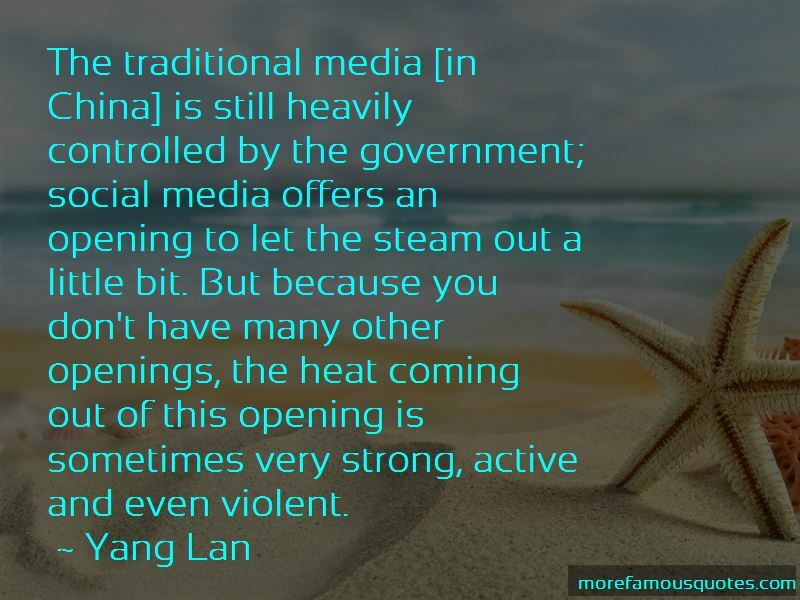 Click on image of Yang Lan quotes to view full size. “The rest of the world cares about how we conduct our affairs because they then take that lead. Were the only leader in” — Jon Huntsman, Jr.